Snap Fitness won the Team Race with Alyssa Hales, Kenneth Hales, Cari Kottke, Kari Olson and Taylor Hales. THANK YOU TO EVERYONE WHO PARTICIPATED IN THE RAILROAD DAYS DASH! Chamber Railroad Days celebration in Staples, MN. The 2018 event will take place on August 25, 2018. T-Shirts are available for $5, on a first come, first served basis. Cost is for the Team only and each person will pay their individual entry fee as they register. Teams consist of 4 or more runners. $20 per team – includes Team Leader* and Team Registration – *Team Leader must register before team members. Each team member is also responsible for registering individually. • Overall winner, under 20, 20-29, 30-39, 40-49, 50-59, 60-69, 70+. • Awards are guaranteed for the top 2 finishers in each division. 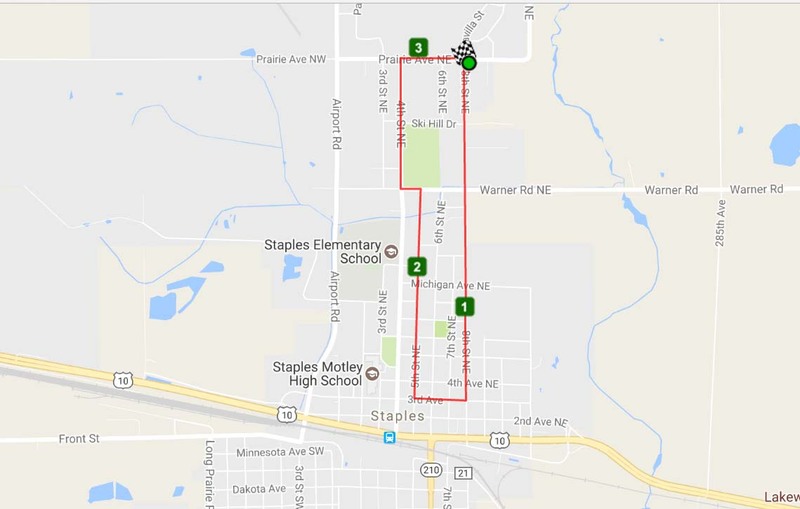 The purpose of the Railroad Days Dash is to get people in the Staples area active by running. Founding Race Director Nick Schultz started the race in 2009. Staples has a long history of great cross country runners and track teams so they asked why not have a running event that promotes running as a healthy LIFESTYLE. The event also includes the Jr. Dash for kids under 12. 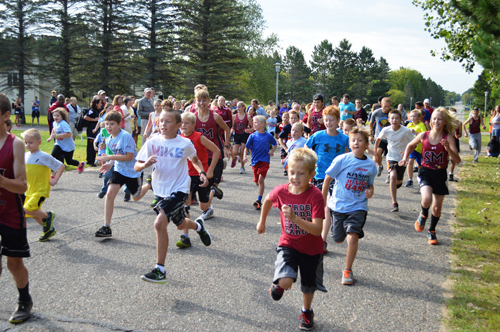 The Jr. Dashers will run the 1K course alongside members of the Staples-Motley Cross Country team. All proceeds from the Railroad Days Dash benefit Kinship Partners of Staples/Motley, a non-profit youth mentoring program.